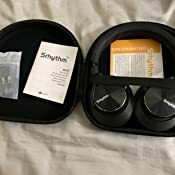 Sold by Srhythm® and Fulfilled by Amazon. Gift-wrap available. Save an extra 30% when you apply this coupon. 30% extra savings coupon applied at checkout. ANC Technology: Advanced active noise reduction technology quells much noise of airplane cabin,city traffic or busy office,cancels 92% machine noise (Not eliminate talking voice),makes you focus on what you want to hear,enjoy your music, movies and videos.Noise cancellation function can work well both in wired and wireless mode. 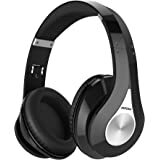 High Quality Materials: Made by extremely soft memory-protein materials ensuring lasting comfort and long time wearing,Precise sewing process makes for better sound isolation.Real bigger over-ear and cool fashionable designs lets you enjoy excellent sound whenever and wherever you may be. 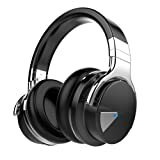 Ideal ANC bluetooth headphones for the office, dorm room, street, park, yard, relaxing at home or anywhere else imaginable. 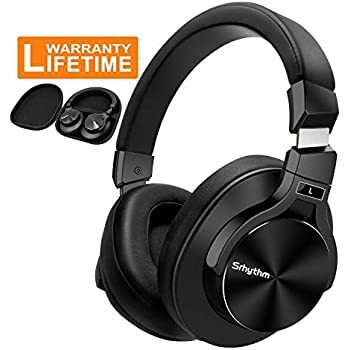 Long Play Time: Headset long-life battery technology provides up to 24 hours live fantastic music, giving you more than enough time to put through your entire playlist.If your Srhythm Earphones finally run out of battery,just attach the audio cord to keep enjoying your music. 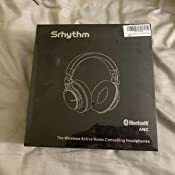 Sold by Srhythm® and ships from Amazon Fulfillment. Sold by ZEXMTE and ships from Amazon Fulfillment. Whether you’re commuting, on a lengthy flight, or trying to concentrate in the office, Srhythm noise cancelling headphones can be a godsend. You will feel it at the flip of a switch on your headset—noise fades, and your music soars, no matter on a wired or wireless mode. -Professional Active Noise Cancelling Technology. Advanced active noise reduction technology quells airplane cabin noise, city traffic or a busy office. So you can focus more on what matters—your music, movies and videos. -The Professional Protein Earpad and 100°Swiveling Earcups. More durability and comfort, Enjoy high-quality, Long-listen comfort. Skin texture, lightweight comfortable around-ear fit you can wear all day long. 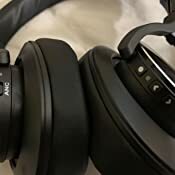 Gentle Reminder: please take off the headphone every 2-3 hours to get your ears relax, in order to get better hearing enjoyment, and keep the head comfortable. -After 10 minutes without any operation since you powered on, the product will shut down automatically. 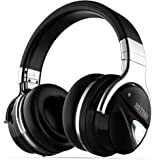 -Srhythm is a leading noise cancelling technology expert. We design and develop our own noise cancelling module. -Free customer supports: Please don’t hesitate to contact our kindly, first-class, high-technical and efficient support team if you have any issues about Srhythm product. 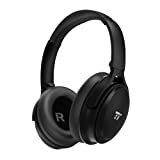 I bought these to use during a coding boot camp in order to drown out outside noise and focus on the projects assigned. 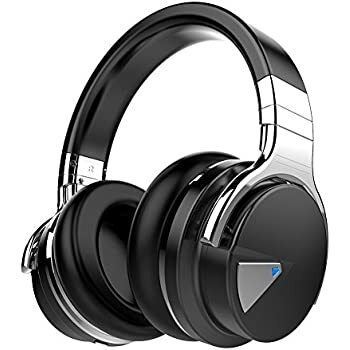 So far they seem to be holding up well, the build material seems premium and sturdy, and the headphones themselves are very easy to use. After pairing with my Mac, I’ve found that, after turning them on, they pair in less than 3 seconds - something much faster than what I am used to. 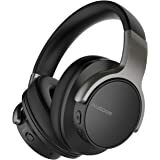 The noise cancelling works as described, with it having the ability to cancel out background noise (like an air conditioner or other low constant sounds eg. NOT voices). I don’t really have anything else to compare the noise cancellation to, but it seems to be serving it’s purpose. In regards to comfort, I’ve worn them for a few hours at a time and so far they feel comfortable enough to not cause any discomfort. All in all, I am very happy with my purchase, and I expect to be able to continue using these headphones into the foreseeable future. I bought this for my work and thought to use this on my flights as well. 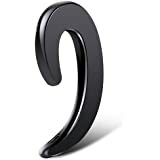 Rather than spending $349.95 on "QuietComfort 35 wireless headphones II" I decide to go with this and I saved quite a bit. I am fairly happy with this. 1. Manual has clear instructions. Easy to set up and do the pairing. 2. Nice Packaging. Would be a great gift. 3. One day delivery - Amazing! 5. Noise Cancelation quality - Reduces the noise but doesn't really cancel all. 6. Battery Life is good. 7. Very convenient to wear and store. 8. Interruption might happen if you are too far from the phone. 9. The ear cups are nice, soft and super comfortable. The headphone feels comfortable even after long hours use. 1. Black is great however some color choices would have been better. 2. Manual does say how long to charge before using it. I fully charged it before I used it which took about 2-3 hours. 3. I wish noise cancellation was better but the price would have hiked with that. On a recent plane trip to Rome, Italy, they gave us Bose noise cancelling earphones and I loved them. I decided I wanted a pair for future plane trips where they wouldn’t be provided. 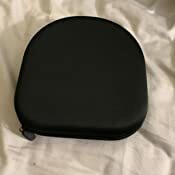 The Bose are excellent, but I couldn’t justify paying their price. 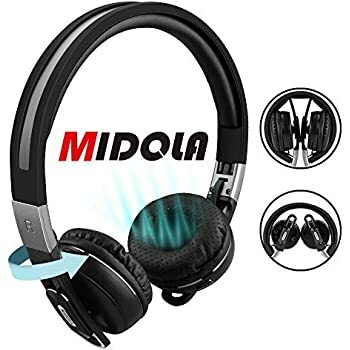 I got these headphones because of the seven 5-star reviews. I have found that the sound quality to be excellent and the noise cancelling feature works just as well as I remember the Bose headphones working. 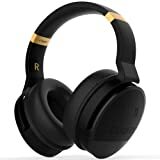 I highly recommend these headphones. The headset is look really cool, noise cancelling was okay when I was in the airport. Overall quality is good when compared to those big brand products. 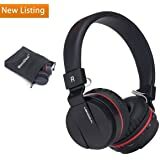 If you look for okay price noise cancelling product, it might be one of your choice. 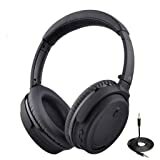 Needed some new headphones to replace my Skullcandy Hesh 2s and didn't want to spend to much. Also wanted something with a 'same day' delivery option. Opted for these since there were many good reviews, and a few even compared them to BOSE. I am MORE than pleased with these headphones. They are extremely comfortable, light, and snug to your ear. The padding literally forms to your ears and head. The ANC technology is right up there with some of the high end products. Cancels out a lot of the outside noise, and doesn't add a ton of un-needed bass. 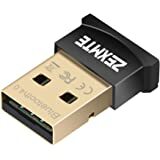 The AUX cable and built in MIC allows me to connect to my XB1 or PS4 controller and use like a normal gaming headset. Was disappointed i didn't notice the bundle that includes the wired version as well for only $96. I'll probably buy some more expensive sets in the future just because I'm frivolous like that, but until then these are more than satisfactory. 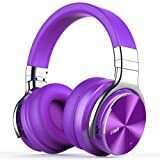 Awesome headphones!!! I bought these for work. I share a very large office another person and needed something to block his constant talking to himself. 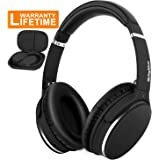 I have several other Bluetooth sets of headphones be I can't turn them up load enough to dround him out without doing damage to my hearing (I've tried). These work magnificently!!! 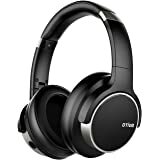 The sound quality is exceptional, very very close to my Bose headphones but at less than a quarter of the cost. Highly recommend these. 5.0 out of 5 starsHuge Deal at this price!!! I have lots and lots of headphones. I usually get some at Walgreens or CVS or the dollar store , but they fall apart very easily after a few weeks. I can tell these are going to last a long time. They are not flimsy like the cheap headphones im used to buying. I have Sony pro models for films and sound production , but I just wanted some I could take to the track to work out or listen to music here and there and these have been working perfectly. 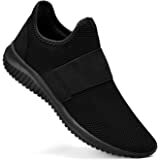 I definitely recommend these as a pair that you will get excellent quality for at this great price!!! !